The most successful firms will be those who embrace the honesty. As 2015 approaches, Direct Marketing Company, AnRousa share their top three marketing predictions for next year. AnRousa highlights that not even leaders of the marketing industry can afford to stop learning. The industry is constantly developing and changing and firms must learn how to adapt, particularly to the rise in digital technology. AnRousa also says that the marketer’s role is changing as brands adapt to evolving consumer habits. 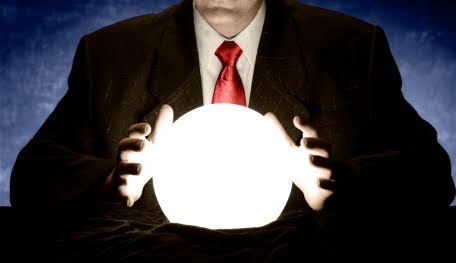 AnRousa has revealed their top three predictions for what marketing companies will have to do in order to adapt and be successful in 2015. User-generated content is 50% more trusted than other media and 35% more memorable. Brands are going to have to let go of the control they have over their brand communications and platforms, co-creating content with their consumers. AnRousa says that the future will be crowd-sourced, with brands gaining loyalty from their customers by producing and gathering content that is relevant to them. Brands should also give customers platforms to generate their own content, with the aim of creating more rewarding experiences that make them return. AnRousa believes there will be an increased collaboration between marketers and consumers as the use of digital tools grows within organisations. Relaxing brand control also means that the brands’ internal communication will need to be stronger, requiring departments to come together with a shared goal of providing consumers with more value from products and services. Currently 54% of consumers feel an emotional distance from brands. Research finds that brands that behave like humans find more favour with consumers. AnRousa says that being a ‘human’ brand requires a move towards transparency and away from consumer cynicism. AnRousa believes that there will be an increase in brands trying to promote their more human side because consumers are not just looking to buy a brand but a lifestyle as well. Another way to humanise a brand is to remove secrecy about the business and open it to scrutiny, the more channels and content available to the consumer, the more previously held secrets are removed. AnRousa believes the most successful firms will be those who embrace the honesty. The average household creates enough data to fill 65 iPhones per year and by 2020 this will increase to 318 iPhones. Understanding and using data effectively is already a universal issue for marketers. Marketers have to understand how data will be used in the future to develop marketing messages and to design services to meet consumers’ immediate needs. But, AnRousa asks, as brands become more rational, using data to back up campaign strategy and target their market segments effectively, does creativity lose out? AnRousa predicts an increase in collaboration between the science and art components of the marketing discipline. There is a trend in understanding how to balance the production of data with creativity, so that the overall consumer experience is not too rational and still captures the imagination of the target audience. AnRousa is a direct marketing firm located in New Jersey and are experts in B2B sales and event marketing. The firm aims to guide clients through every stage of planning, creating and implementing a successful marketing campaign through a professional ‘hands on’ approach. The huge demand for direct marketing services gives the firm exciting opportunities for continual growth in the future in both national and overseas markets. AnRousa connects with their clients’ consumers through face-to-face interaction, bringing them products and services directly. This creates lasting, personal relationships between the brand and consumer. * For more information regarding media usage, ownership and rights please contact AnRousa.